Ilya Kovalchuk can’t officially sign a contract until July 1st, but as Darren Dreger of TSN reports offers have already been submitted to his camp. Dreger believes the Los Angeles Kings are one of the team who have sent an offer, while the Boston Bruins, San Jose Sharks and Vegas Golden Knights remain in contention. 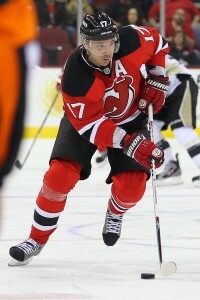 Kovalchuk is permitted to reach a deal with a team prior to the free agent period. The 35-year old Russian forward is returning after five seasons in the KHL, and has already sat down with multiple teams. Though his contract will be held to normal restrictions for a 35+ player—that is, his average annual value will be applied to the salary cap regardless of whether he retires before the end of the contract—he is still expected to get a multi-year deal. It’s not like his production has waned in recent years, as he led the KHL in scoring this season and recorded 78 points in 2016-17. Kovalchuk was one of the NHL’s most lethal offensive weapons during his first tenure in North America, recording 816 points in 816 games including an impressive 417 goals. While he’s coming back a much older player, he also recently won Olympic MVP and should still be able to produce at a respective rate in the NHL. Whether he’ll be able to do that for multiple seasons, and at a rate which makes his contract palatable is another story. With several competing teams there is no telling how high the offers for Kovalchuk will climb, and though he has said his first priority is winning the Stanley Cup, all players want to earn the most they can during their final seasons of professional hockey. For the Kings, the interest is not surprising. GM Rob Blake has shown reported interest in almost every scoring threat on the market, including players like Phil Kessel and Jeff Skinner. Los Angeles desperately needs to add offense to a group that can still compete for the Stanley Cup, and Kovalchuk costs nothing but money. Anze Kopitar bounced back to his MVP-caliber self this season, but relying on a resurgent Dustin Brown and Jeff Carter to carry the load just wasn’t working. Boston too makes sense for the big winger, as the team is expected to let Rick Nash walk in free agency. The team acquired Nash at the trade deadline hoping he’d give their offense another dynamic goal threat to push them over the top, but after a disappointing playoff exit at the hands of the Tampa Bay Lightning will look to retool through free agency. San Jose has been linked to just about every free agent on the market thanks to their healthy cap space, and with this week’s Mike Hoffman magic have cleared another $4MM. If they get the feeling that John Tavares isn’t going to be available in a few days, why not swing at Kovalchuk to give the team another option and more incentive for Joe Thornton to take one more crack at a Stanley Cup in California. The Golden Knights are the wildcard in seemingly every trade and free agent scenario, as they have more than $30MM in cap space and very few long-term contracts on the books. Taking a chance on a player like Kovalchuk is nearly risk-free for an organization that is starting from scratch, but could add a huge marketing opportunity for the franchise. Kovalchuk is a star all around the world after his accomplishments in the NHL, KHL and on the Olympic stage, and would only lend some more credibility to a team looking to show they weren’t just a one-hit wonder. I’m curious to hear what Bruins fans think of the B’s possibly acquiring him? Good or bad or does it depend on the contract? Depends on the contract but I’d rather have Kovy over Rick Nash if the numbers are even remotely similar.